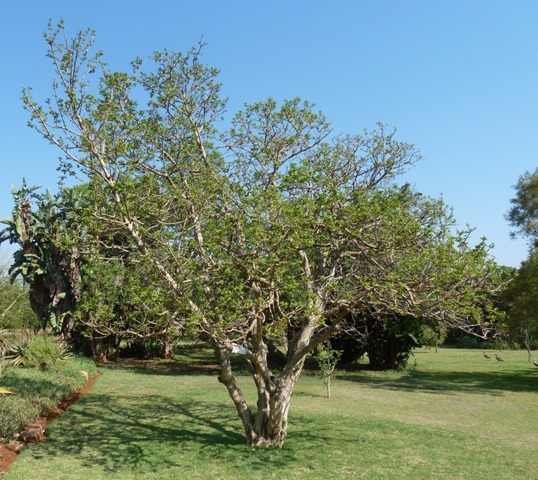 Wild medler is one of South Africa’s most popular wild fruits, and can be enjoyed while walking. This lovely little tree is considered to possess evil powers and not even the wood should be used for making fire. It is believed that it could cause cattle to bear only male offspring. Despite this, the plant is used extensively. Wild medler is a deciduous shrub or small tree that varies in height from 3-7 m, depending on the habitat. It can be single or multistemmed, but usually the latter. The bark is greyish to yellowish brown, smooth and peeling in irregular small strips. The branchlets are covered with short, woolly hairs, especially when young. The leaves are single, oppositely arranged, as is typical of this family. The leaves are light green in colour, covered with soft, velvety short hairs and even more so when young. The margin of the leaf is entire. The shape of the leaf is elliptic to ovate with the net veining conspicuous below. When older, the leaves often appear twisted and are rough to the touch. Soft, velvety, acorn-shaped buds appear either before or simultaneously with the new leaves around September to October. These open into small flowers, greenish white to yellowish in colour. They occur in clusters along the short lateral branches. The fruit is almost round, glossy dark green when young and changing to a light brown when ripe. The ripe fruit is soft and fleshy with a leathery skin that encloses 3-5 seeds embedded in soft pulp. 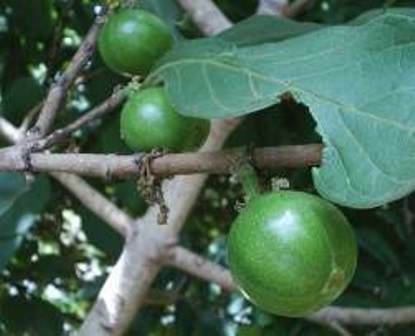 The fruit is edible and has a pleasant sweet-sour, mealy taste. It tastes like an apple. It can be found on the plants from January to April. The remains of the old flower base can be seen on the tip of the fruit. 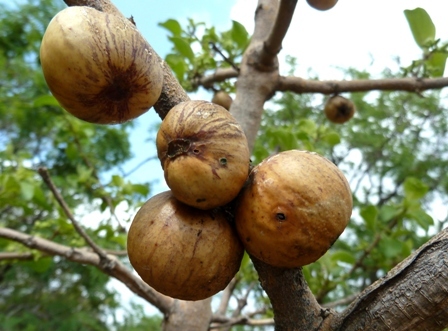 The fruit is mostly eaten raw but in some parts it is stored as dried fruit to be used in time of food scarcity. A strong alcoholic drink or brandy can be distilled from it or fermented to make beer. If mixed with a little water and sugar it produces an acceptable substitute for apple sauce. The fruit juice can also be used for flavouring purposes by squeezing it out in water, discarding the seed and skins. This is done often for flavouring porridge. Vinegar can be produced from the fruit. This plant has medicinal value as well. An infusion of the roots and leaves has been used to treat malaria, chest ailments like pneumonia, as a purgative and to treat ringworms. 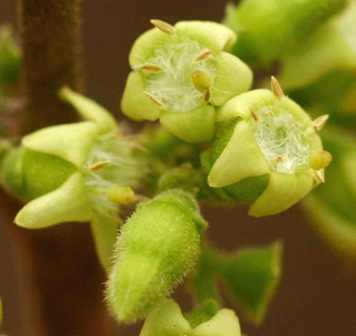 An infusion of the leaves is used for the relief of toothache. For the treatment of swelling of the limbs the affected parts are bathed in a decoction of the pounded leaves and small twigs, especially in children.